Welcome to Holmes County, Ohio, where twins Mattie and Mark Miller can't seem to agree on anything. 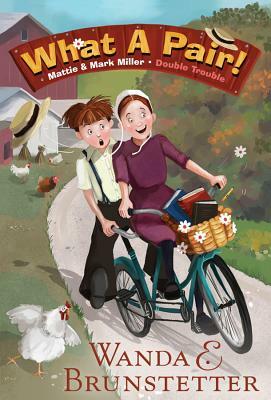 When their disagreements start to cause big trouble in their Amish community, will these energetic nine-year-olds call a truce and acknowledge that their differences are what make them so special? You'll fall in love with the first release in the Double Trouble series from bestselling author, Wanda E. Brunstetter.